A Gin-Tanstic gift! Perfect for those who adore good gin. 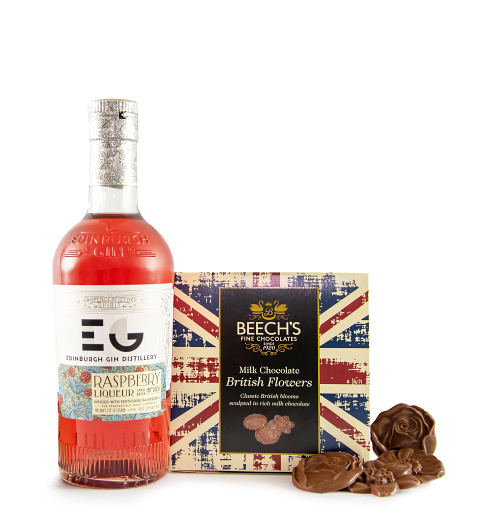 We have paired World class Edinburgh Gin 50 clinfused with Perthshire raspberries with Beeches Fine British Chocolates 90g. All beautifully presented in a Prestige Hampers gift box. A gift sure to impress any gin lover!